Did ancient Indians immigrate to the Russian Caucasus? A mountain in the Russian internal republic of Adygea was named after the Hindu Kush range, and the people of the region practiced a set of exercises and meditations that closely resemble yoga. While it’s obvious that there’s a strong and deep-rooted spiritual connection between India and Russia, several theories have been doing the rounds as to when these cultures came into direct contact with each other. A cursory search online will lead one to see claims about Russia being the ancient land of the rishis. In 2007, the Indian media went ballistic when an archaeologist from Ulyanovsk found an idol of Vishnu that dates back to the 10th century in a small village. While no one knows for sure how the idol ended up in a small village in the Ulyanovsk Region, my personal guess would be that Indian traders made their way to the Middle Volga. Migration from north to south and vice-versa has been taking place since time immemorial. So, it is likely that Indians ended up in modern day Russia hundreds of years before Afanasy Nikitin turned up in Maharashtra. While watching a documentary recently on southern Russia and the Caucasus, I came across an interesting piece of information. Close to the Russian internal republic of Adygea, which is an enclave in the Krasnodar Territory, there is a small village called Indyuk. The village gets its name from a nearby mountain, which stands at 860 metres above sea level. Geologists believe the mountain to be an underwater volcano that went extinct over one hundred million years ago. It is widely believed that the mountain was named Indyuk by a tribe that migrated over a thousand years ago to Adygea from what was then the frontier of India. The word Indyuk also means turkey in Russian. Coincidentally, the Russian word for the bird was adopted from the Turkish language. The Turks called India ‘Hindistan,’ meaning the land of the turkey! “Hindu Kush was probably shortened and Russianized and that is most likely how the mountain got its present name,” Griko adds. It’s also likely that the immigrants from India brought a Vedic practice that has yoga-like exercises and mediation that is called Uork Khabze. This practise predates the arrival of Islam in the Caucasus. 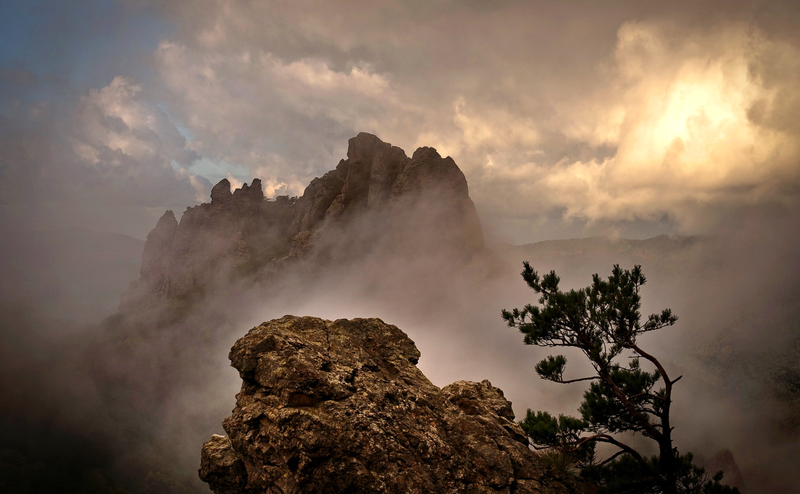 Uork Khabze, which literally means “path for the chosen” is undergoing a revival in Adygea. It was taught to those who demonstrated a potential to be outstanding human beings, although it was largely restricted to the elite. As is the case with yoga, a diet that is in harmony with nature is an integral part of the Adygean system of physical, mental and spiritual well being. A cursory glance at the brilliant book ‘Adyghe Khabze’ by Kadir I. Natho is enough to know that the Adygean tradition and culture has a lot of similarities with India. While there is no written proof of Indian immigration to the Russian Caucasus, it’s hard to deny the clearly visible links that exist between these places, where manmade borders did not impede the movement of people and ideas.